Kalesnikoff log yard, full - as it has been consistently for months this year. The Glade watershed can be seen in the background, on the other side of the river. The same log yard a few days later; except now the watershed is almost invisible due to smoke from wildfires. Fires caused by climate changes, human caused (40% according to BC Wildfire) and aided and abetted by fire suppression, conventional logging practices, and the government policy of allowing all recreation enthusiasts into the bush on and off resource roads with no oversight. Glaciers in the Columbia Basin are currently being measured by scientists from the University of Northern BC. These glaciers are a critical water source, a fresh water reservoir. The glaciers feed our Kootenay Lake, many small streams, creeks and aquifers, and many water systems. Sustained mass loss is the background standard, with glaciers losing mass every year. In 2015, Nelson was at a Stage 4 Drought Alert. The City of Nelson is currently trying to find supplementary sources of water. The Arrow Creek Treatment plant for Creston/Erickson had low water in late summer that when water was needed for agricultural irrigation, some fish bearing streams almost went dry. On June 1st, 2016, the provincial snow survey shows the West Kootenay snow/water levels at 35% of where it should be. 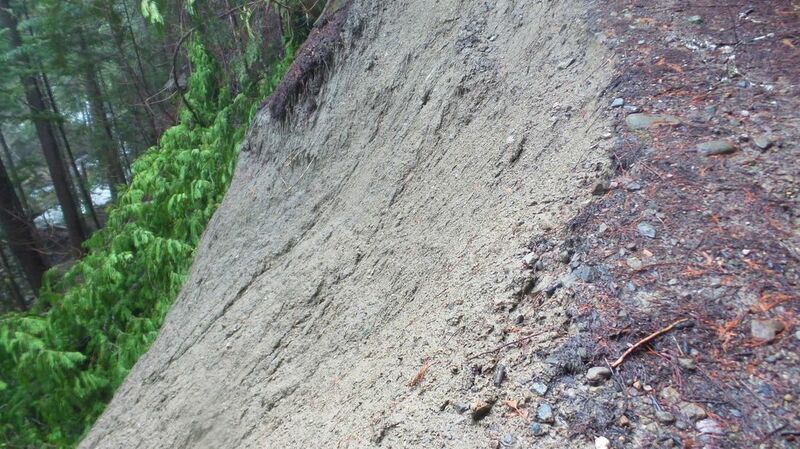 Robson/ Raspberry: a 'minor' landslide compromised their new filtration system for over a month. This new water treatment system cost 3.4 million, took at least 5 years of planning, and increased residents' annual water fees to $1000. Glade Creek is considered a 'small stream'. With this designation comes the assurance from scientists in the field (M.C. 2016) that 'quality and quantity changes are forecast' for that size. Proposed logging and road building will compromise the viability of our watershed to provide us with clean, safe water. It is even more imperative now, given what we know about logging and what we know about climate changes in this area to protect our water. 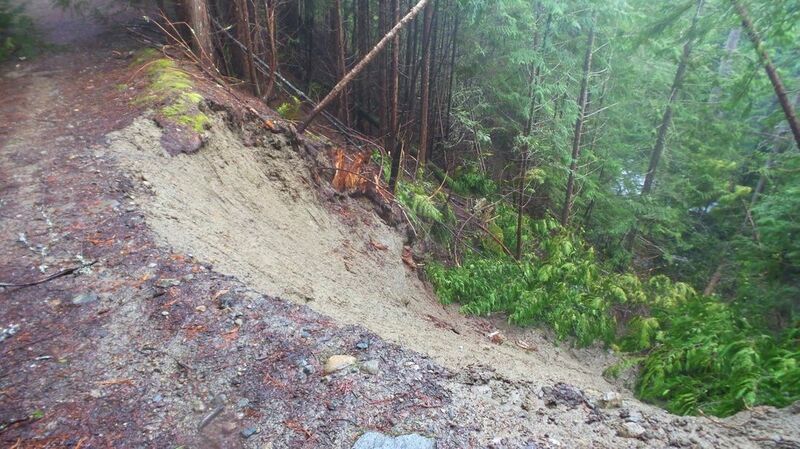 The slide took out about 3 large (50') trees down the slope and narrowed the decommissioned access road even further. It is now about 3' wide. 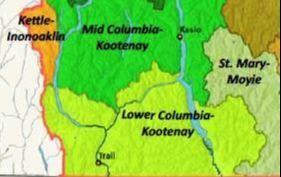 A substantial slide was discovered by community members April 29, 2017 and related to Kalesnikoff Lumber Company on May 5, 2017 who had been unaware of it. This slide, located on a decommissioned access road and approximately 30’ across at the mouth, took out 50’ trees and runs right down to Glade Creek. It is situated just below block 66-3. This is a new event that was discovered after the professional reports came out, so it is not considered in either the professional Hydrogeomorphic or Terrain Stability report and clearly demonstrates the vulnerability and the changing face of our watershed, even today. Our position is that our watershed is one in recovery and that it needs restoration to continue to provide clean water for the community, and to weather the climate disruptions that are upon us. Slide on decommissioned access road. The white water of Glade creek can be seen below. Although increased run-off has been predicted by some models, it does not appear that Basin streams are experiencing that – rather annual catchment runoff yields have decreased as temperature increases. Increased sediment supply and snow accumulation, enhanced melt rates, drainage diversion and soil compaction are likely. Modified flood frequencies, increased basin water yield and peak flows, altered low flows and, in some situations, destabilized channels. As the smaller snowpack disappears faster in the higher temperatures, soil moisture levels decrease with lower total water availability from the snowpack during warmer months and, reduced low-flow levels in summer and fall, and potential drought. 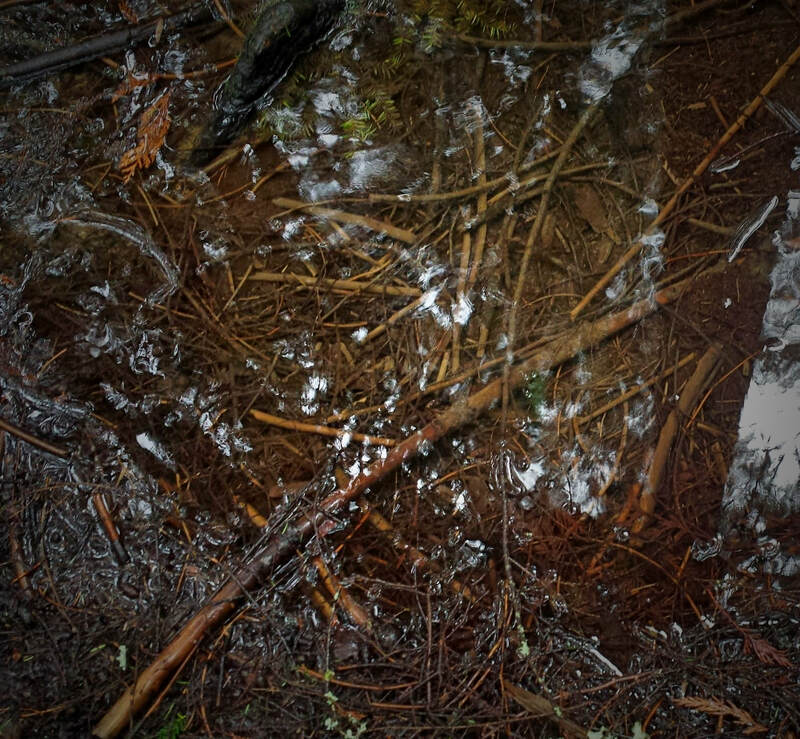 Over time, changes in the climate are reflected in the forest, which changes, in part, in response to differences in the timing of snowpack disappearance. The low flows in smaller and lower-elevation watersheds and in watersheds without glaciers are especially vulnerable to warming because a greater proportion of precipitation is received as rain and does not go into storage as snow for subsequent melt during the late summer and early fall when stream flows are low. Global Climate Models show that summer precipitation is projected to decline, which would intensify the decline in low flows. Despite projected increases in winter precipitation, this is not expected to compensate for these various declines (Hirose and Marshall 2013).